Perhaps the most readily recognised trademark of any country is its national airline, or flag carrier. In the case of The Netherlands, KLM Royal Dutch Airlines is not only one of the most highly respected airlines in the world, but also the oldest in operation today. In 2019 it will celebrate its centenary, by which time the iconic sky blue livery will touch down in over 150 destinations across the globe. More than just serving to connect Holland to the world, KLM is the symbol of Dutch timekeeping, efficiency and service. Though not everyone knows it’s Dutch, Philips is one of the most famous companies to come out of The Netherlands. Founded as a light bulb factory in 1891, the company soon expanded to become an electronics giant producing everything from televisions and fridges to CAT scanners and dental machinery. With operations in over 60 countries worldwide, Philips employs 105,000 people and has long been one of the leading developers of new patents and technologies. One of the world´s largest petrochemical firms, this Anglo-Dutch multinational is the product of the fusion of Royal Dutch Petroleum and Shell Transport and Trading. The brand is visible on over 44,000 petrol stations worldwide and is led by CEO Ben van Beurden from its iconic headquarters in The Hague. Though it produces 3.7 million barrels of oil a day, the company is also highly active in the development of renewable energy production. The Shell logo is one of the most instantly recognisable commercial icons in the world. 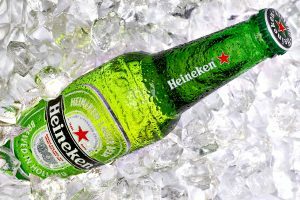 Almost as universally well-known are the labels of Amstel and Heineken, two major beer brands that have taken Dutch brewing across the world. Amstel, already a global brand in its own right, was taken over by the even larger Heineken group in 1968, and together with other subsidiaries account for a large part of the global beer market. So much so that the classic green Heineken bottle and red star are associated with beer the world over. Not as big but all the more quirky for it is Grolsch, with the famous flip-top and charming green bottle marking it out as a connoisseur’s beer across the globe. Known as ‘De Beugel’, the Swing Top, the ritual of flipping open a bottle of Grolsch is almost as enjoyable as the beer itself, and like Philips this brand enjoys close links to its roots and sponsors a major Dutch football club. Holland could not be a neighbour of Germany and not be good at technology. Philips and Shell are engineering giants, but only part of a long list of distinguished companies in a wide variety of technological fields. They include the likes of Stork Technical Services, Fokker Aerospace and pharmaceutical specialist DSM, with chemical company Akzo Nobel tracing its origins back to 1792. The concern, which is one of the leading producers of paints in the world, merged with Nobel Industries in 1994 to form one of the leading global chemical companies. Such established companies continue to be competitive in today’s environment, where they are joined by the many start-ups in what has become an increasingly dynamic commercial environment. Dutch commercial and technical skills combine in such household names as Trust, a manufacturer of computer accessories, and Tom Tom, which produces navigation, mapping and also action cameras and GPS sports watches. Founded in 1991, Tom Tom has become a globally recognised brand. What started as a trailer manufacturer from Eindhoven eventually became an international truck brand seen on all the different continents. A relatively short foray into producing quirky little cars briefly distracted the company, but to this day DAF trucks are associated with quality and power, leaving luxury sports car maker Spyker to carry the flag for Dutch automobile design and production. Inspired by a luxurious Dutch car brand of the pre-war era, the Spyker name was reborn in 1999, now as a bespoke maker of some of the most exclusive sports cars available. 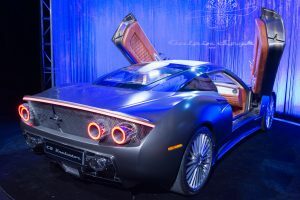 What Spyker lacks in volume production it more than makes up for in sheer luxury and refinement, producing exquisite models such as the C8 Aileron and C12 Zagato. The company also raced at Le Mans and even had a team in the 2007 Formula One season. A merger of Amsterdam and Rotterdam banks, ABN AMRO grew from being one of the largest banks in The Netherlands to an international financial concern operating across the world. Active in a broad range of financial services, including retail banking and wealth management, it has sailed through the storms of the financial crisis to emerge leaner and healthier, a testament to management skills of a country that founded the world’s first stock exchange. Also active in retail, commercial and investment banking, as well as asset management and insurance, ING stands for Internationale Nederlanden Groep. Not a lot of people know this, even though many around the world are clients of this growing international concern. In fact, there are over 50 million of them in more than 40 countries, making the ING Group one of the main international banks. Another brand that many are familiar with but few know is Dutch is C&A, the clothing retailer seen across Europe. Founded in 1841, C&A is still a family owned business that operates around 2,000 outlets in Europe, China, Mexico and Brazil. There are over 100 in Spain alone, with Beyoncé launching a clothing line in conjunction with C&A. Created by Dutch television producers Joop van den Ende and John de Mol, Endemol is the force behind many globally syndicated TV programmes. Think you don’t know them? Think again, for Big Brother, Deal or No Deal, Wipeout, Tu Cara me Suena and The Million Pound Drop are just some of their TV shows. But Endemol also produces television series such as Benidorm, The Fall and Hot in Cleveland, among many others. The last in the list of international Dutch brands is one you use all the time in one form or another. You may not recognise the name of the corporation headquartered in Rotterdam, but you’re likely to know many of its everyday brands and products intimately, including: Flora margarine, Magnum ice cream, Sunsilk shampoo, Omo laundry detergent, Dove soap, Lipton tea, Knorr soups, Helmann’s mayonnaise, PG Tips, Pot Noodle, Ben & Jerry’s, Bovril, Royco, Calvé and Conimex. A Spyker car is perhaps one of the most desirable Dutch brands to own, but Unilever really does reach right across the world. This entry was posted on Wednesday, March 22nd, 2017 at 6:28 pm	and is filed under Business and technology, General Interest. You can follow any responses to this entry through the RSS 2.0 feed. Both comments and pings are currently closed.